In past 10 years, most Tanzania local thermal paper suppliers are importing the paper from the nearby countries (especially from South Africa). But with the time going, more and more suppliers realized that it was not a bad choice to buy the rolls from the country in the far east – China. Thermal paper is a particular type of paper, which is coated with certain chemical substances which change color when exposed to heat. 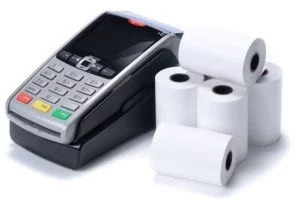 There are many benefits of using thermal paper rolls in the POS printer, ATM machines, or credit card terminals. Assured quality is first to notice. The quality of printing on to the thermal paper is clearer than on normal paper and it is also less likely to be faded. Also, the thermal paper rolls are very easy to handle. Unlike the conventional paper rolls, thermal paper can be easily loaded and aligned and it is also very flexible to manipulate. As with the growing of Tanzania economic, more and more people will go to the grocery to buy something, more people will go to the bank, thus the paper rolls are consumed much more than before, that leads a very big thermal paper market. 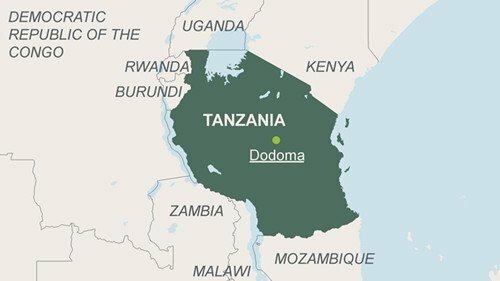 Tanzania’s largest trading partners in 2012 for its US$5.5 billion in exports were South Africa, Switzerland, and China. Its imports totaled US$11.7 billion, with Switzerland, China, and the United Arab Emirates being the biggest partners. We are exporting 3-4 containers of paper rolls to Tanzania every month averagely, hit this link to check the photos. As China’s largest paper roll manufacturer and exporter, our overseas markets have covered Africa, Middle East, Southeast Asia, and America. If you have any interest in joining our distribution network and becoming our customers, you can contact us now by email: support@pandapaperroll.com, we would be glad to discuss with you in details. hello, i am the manager for Supabets Mwenge Tanzania, can you possibly direct me to a local supplier of thermal rolls 80×80, we need 10 boxes at a time, we are opening 20 branches in Tanzania and are looking for reliable suppliers. Am Stella from Arusha Tanzania, I need thermol roll all sizes for sales. Were is your iffice located in Tanzania? Sound good ! Hlw! I’am th director “Adyothe company”, i like to know the pric of 80×80 & 57x40mm?